Who wants to watch the World Series after the Mets beat the Dodgers? 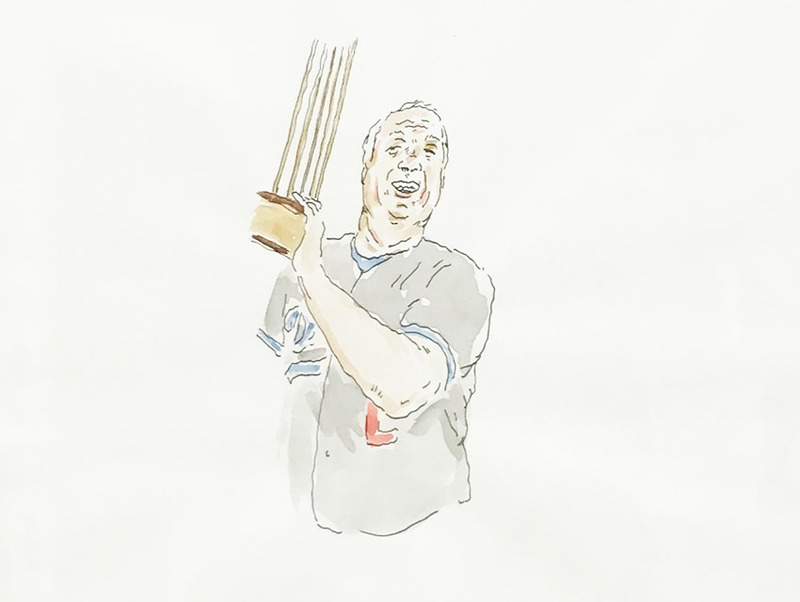 Here’s a solution: forget about televised baseball and head to Cofax Coffee, where you will be surrounded by Dodgers memorabilia, delicious joe, and framed illustrations by the famed Mike Gigliotti. Gigliotti is one of seven children from an unfairly artistic family (“everyone in my family can draw and paint,” he once told Junk). Inspired by the great cartoonist R. Crumb and his older brother, Gabriel, Mike is always pushing the envelope of his canvas. Since Cofax is by nature a Dodger haven, it is fitting to have an entire wall of illustrations honoring Dodger greats—Tommy Lasorda being this reporter’s favorite, hands down. Each of Gigliotti’s renderings is meticulously crafted without taking itself too seriously. Although from afar they seem to have been inked and watercolored in quick succession, upon closer inspection it’s clear that each thoughtful rendering is as comical as it is accurate. Gigliotti lives in a world where those two components are happily married—kind of like almond milk and lattes.